I have to bring a fresh fruit platter to a Thanksgiving dinner. After scouting the internet for ideas on how to cut and arrange the fruits, this is my creation and contribution to the dinner party. While there is no cooking involved, it still took me a good hour to cut and arrange the fruits. It looks nice :). 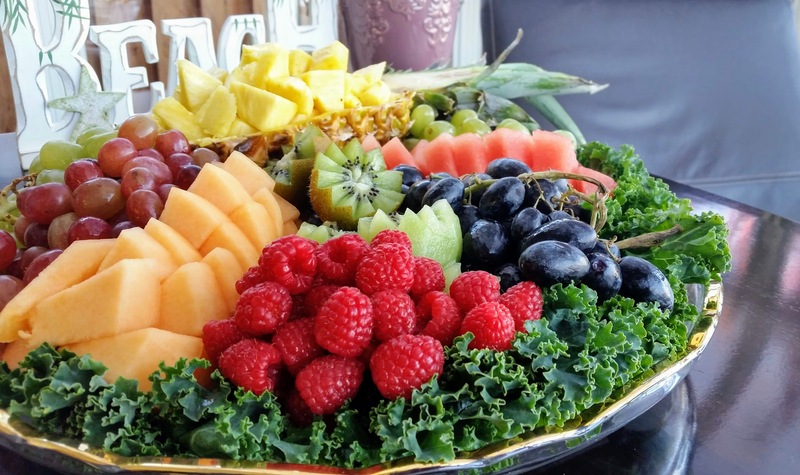 Capturing some pictures to remind myself how to create a colorful fruit platter again the next time. Wash and spin dry the kale leaves in a salad spinner. Line the leaves against the edge of the platter. Wash and dry the remaining fruits. Cut the pineapple in half while keeping the crown intact. Remove skin from one half, remove core, and cut into chunks. Carefully, hull the other half, keeping the shell nice and intact. Cut the pineapple flesh into chunks and pile into the pineapple shell. Arrange on the platter. Remove the skin of the half water melon and cut into four quarters. Cut each quarter into half-inch slices, keeping the slices together. Transfer each quarter to the platter carefully and fan out. Remove the skin of the half cantaloupe and cut into four quarters. Cut each quarter into half-inch slices, keeping the slices together. Transfer each quarter to the platter carefully and fan out. Carve kiwis in halves and arrange in the center of the platter. 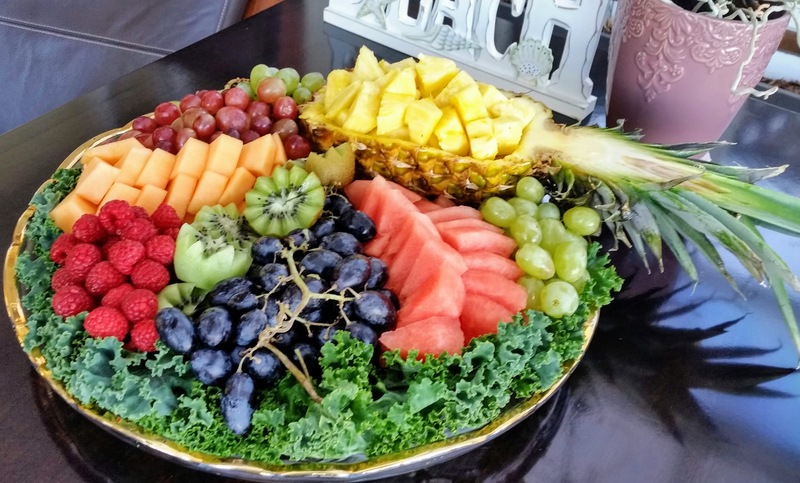 Arrange remaining grapes and raspberries in between the pineapple, cantaloupe, and water melon.